Supercar performance, SUV styling, seven seats, self-driving tech and the doors are borrowed from the Millennium Falcon. Anyone? If you’ve no idea what we’re talking about, then you probably haven’t seen the all-electric Model X, Tesla’s latest head turner. It’s the must-have EV of the moment, but does the Model X have what it takes to make people hang up the fuel pump? Well at a glance, it mirrors the same lines as the older Model S, but the Model X is a much more imposing affair. Pull up at a set of traffic lights and you’ll find inquisitive and bemused onlookers wondering what it is. It’s certainly original ... There really is nothing else like this car currently on the market. Stretching the Model S from every conceivable angle results is an overall shape that won’t be to everyone’s taste, but it’s certainly original. It doesn’t follow the cues of mainstream SUVs such as the Audi Q7 and Range Rover, for example. With its tapered rear-end, the closest things that can match the looks are the Mercedes GLE Coupe and BMW X6, but even then you’d have to be squinting pretty hard. There really is nothing else like this car currently on the market. The quirks continue as you open the front door (we’ll get to the rear ones later). A glancing push of the flush door handle and it swings open of its own volition, inviting you into an uncluttered cabin full of leather and Alcantara. A glancing push of the flush door handle and it swings open of its own volition, inviting you into an uncluttered cabin full of leather and Alcantara. 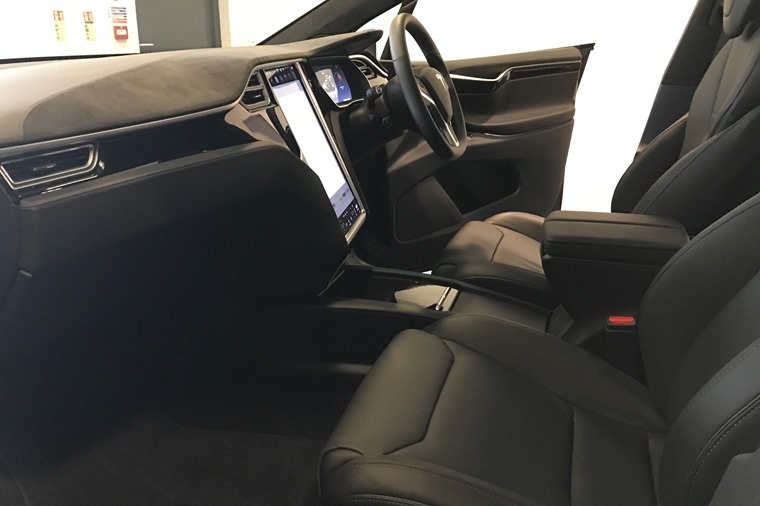 Following the S’s lead, Tesla has stuck with its ‘less is more’ approach when it comes to interior design, the focal point of which is a huge touchscreen that dominates the centre console. It’s the widest interface you’ll find in any car current car, and it controls pretty much every conceivable feature. What’s more, you can be online at a minute’s notice thanks to a permanent 3G connection. In fact, it’s more of a personal in-car tablet than an infotainment system. The only buttons you’ll find left to play with are the hazard lights and a button that opens the glove box. While the touchscreen is certainly an impressive piece of tech, we’re not sure it’s always better than a traditional row of buttons. Screens can be fiddly, especially when travelling at speed. But with semi-autonomous driving modes already a feature, who knows? Perhaps it won’t be an issue for much longer. 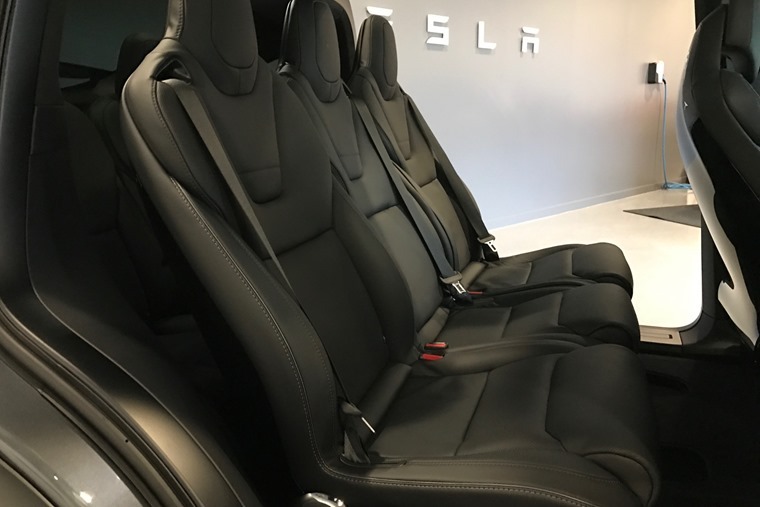 The Model X’s large body means it’s a much more capacious offering inside than the Model S, and it’s available as a five, six or seven-seater. Opt for seven and you’ll find the middle row is endlessly adjustable, giving the rear-most passengers more room as and when needed. With the back row down, there’s a spacious boot on offer too, and thanks to the nature of its low-mounted electric engine and batteries, you’ll find extra storage space under the bonnet. But what about its party piece? The rear falcon wing doors are standard across the range, and Tesla says they offer a practical solution to tight parking spaces. They only need a foot of clearance either side. It’s true; access is great for rear passengers thanks to the large roof cut-out, and you needn’t worry about clipping that expensive paint job every time you get out. Two powertrains are available, both of which utilise four-wheel-drive technology via four electric motors. 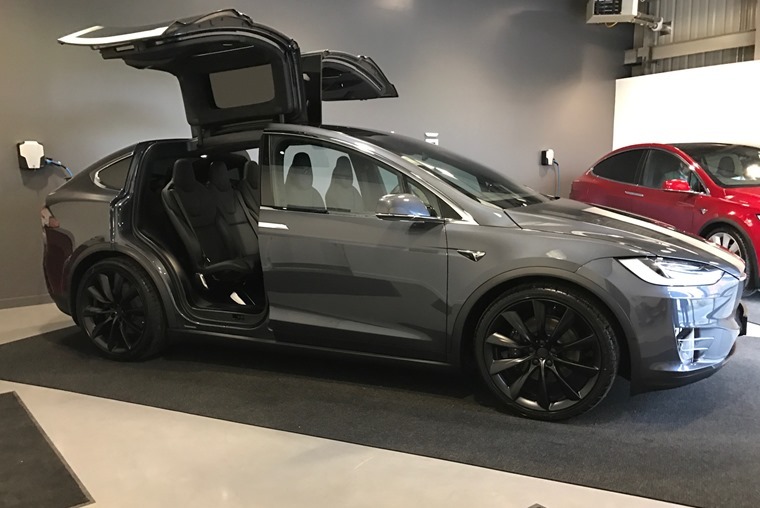 If it is to be the family runaround, you can be assured that the kids will love it too; those doors are fantastic for a Darth Vader-esque arrival at school. You just need to add a smoke machine. But how does it drive? Well, two powertrains are available, both of which utilise four-wheel-drive technology via four electric motors. Our drive is the current range-topping 90D variation, but the 100D and P100D are on the way, too. However, with over 300 miles offered from a single charge one charge; the 90D is already on par with a high-powered petrol SUV in terms of range. Usable power is where Tesla’s all-electric drive comes into its own. The 90D has a 0-60mph time of 4.8 seconds – quite something for a car of this size. Add the infamous Ludicrous mode into the mix and you can up this to an eye-watering 2.9 seconds. What you will find useful is the masses of torque available at cruising speeds. Ok, you won’t be able to use that kind of performance everyday, but what you will find useful is the masses of torque available at cruising speeds. For safe overtaking and general acceleration, nothing can compete. 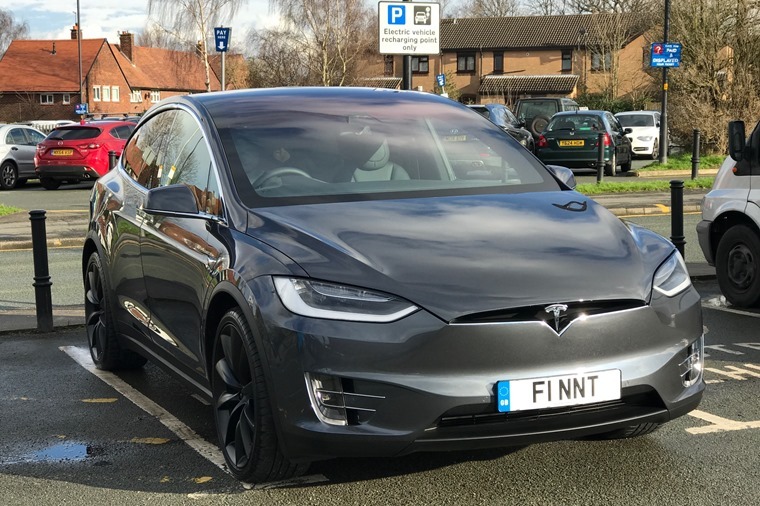 While the X is based on the Model S, it isn’t quite as nimble around corners as the low-slung saloon, but its air suspension makes easy work of the majority of bends and bumps given the weight of the car’s battery pack. After all, this isn’t really a car designed for a twisty back road; it’s most at home on motorway cruises where it will happily blast past just about everything. But is it the future? In a word, yes. The Model X is as close to a spaceship as a car has ever come, and if things go Elon Musk’s way, the tech will only get more impressive and radical. 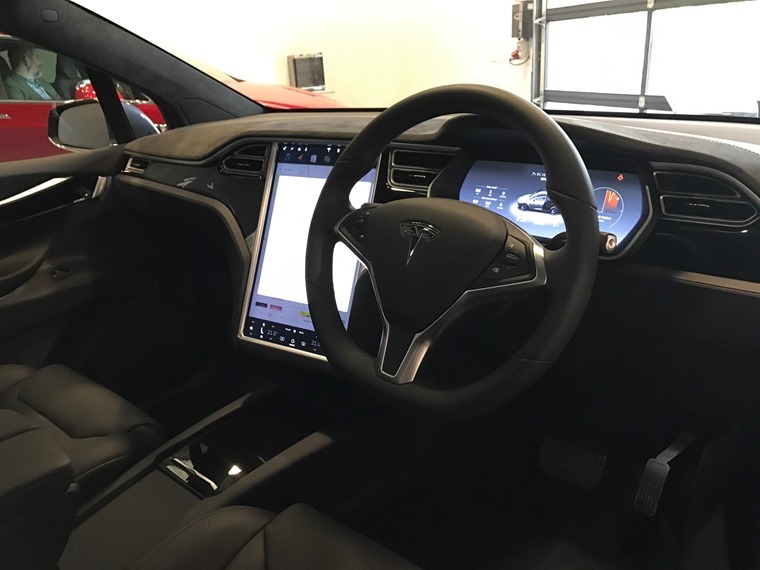 With several major manufacturers heralding autonomous driving and electric propulsion as the two key ingredients for future cars, Tesla is already ahead of the game. 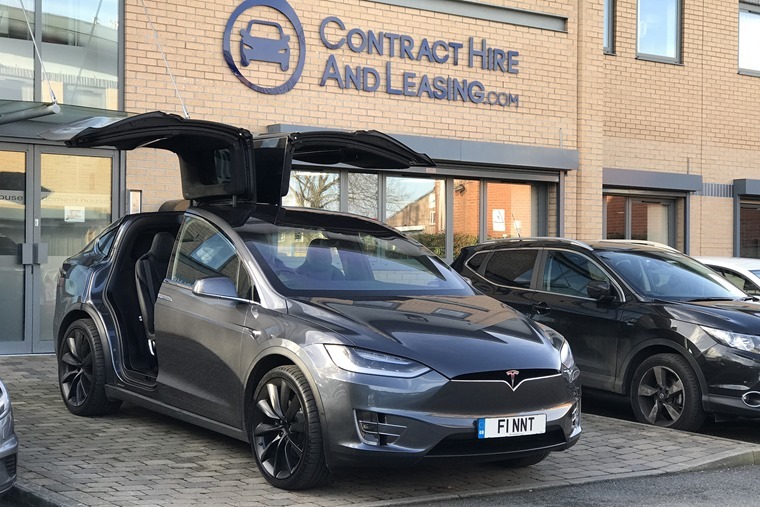 With list prices commencing at around £76,000 and personal leases over £1,000 per month, this isn’t an electric car for the masses. We’ll have to wait for Tesla’s game-changing Model 3 for that. 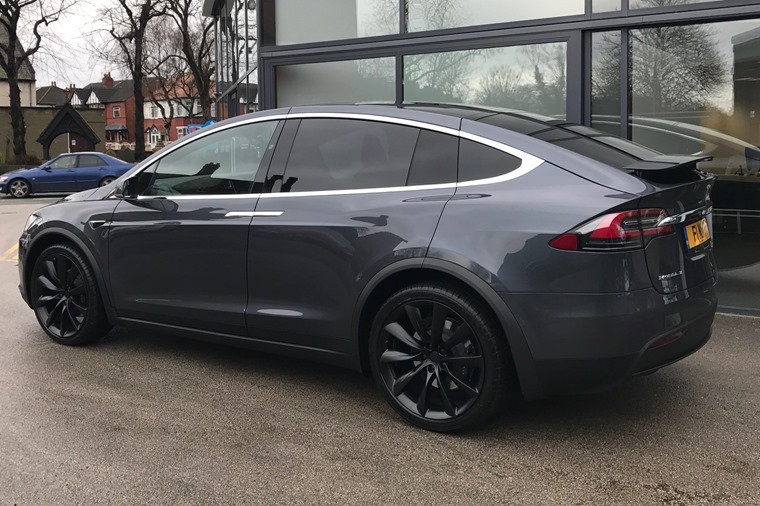 But for those who want a car that’s full of tech, looks and goes like a spaceship and has room for the kids, look no further than the Model X.